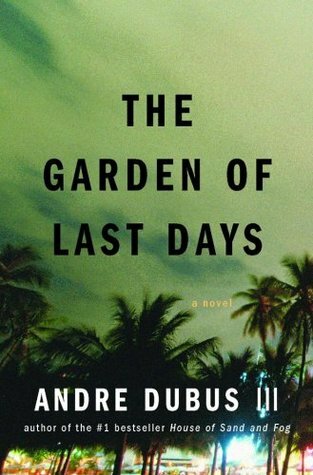 Andre Dubus III draws us into the lives of three deeply flawed, driven people whose paths intersect on a September night in Florida. April, a stripper, has brought her daughter to work at the Puma Club for Men. There she encounters Bassam, a foreign client both remote and too personal and free with his money. Meanwhile, another man, AJ, has been thrown out of the club, andAndre Dubus III draws us into the lives of three deeply flawed, driven people whose paths intersect on a September night in Florida. April, a stripper, has brought her daughter to work at the Puma Club for Men. There she encounters Bassam, a foreign client both remote and too personal and free with his money. Meanwhile, another man, AJ, has been thrown out of the club, and he’s drunk, angry, and lonely. From these explosive elements comes a relentless, raw, and page-turning narrative that seizes the reader by the throat with psychological tension, depth, and realism. I don't know if I can finish this unrelentingly depressing book. Is it just me?UPDATE: I have concluded that I will never finish this book and am removing it from my "currently reading list." Having read about 2/3s of it, I cannot stomach another page. I don't need this kind of stress in my reading life. I loved this book. While it explores the gritty world of a single mother who happens to be a stripper - the love she has for her daughter and what she must do to keep her makes this a moving story with excellent character development.